I’ve used mobile wifi and traveller’s SIM in many countries, but for some reason, information about WIFI in Korea is especially hard to find. I bet that before reading this article, you did a search for “Mobile WIFI Korea” or something like that. See all the results on the top? If you are deliberating which to get or even consider, you can stop now. Here is the thing, they are all the same. I don’t mean the same, as in they don’t make a difference in terms of speed or costs. I mean, they are literally the same brand and service, repackaged differently. This was something I realized after getting one on my last trip. Since I was planning to work on this trip, I went with the faster Pocket WiFi Korea plan from Pocket WiFi Korea. You pay by credit card, which include an extra $50 deposit if you do not return the device and you will be sent instructions on where to collect it at your respective airport. You are to collect it at the “PlayWIFI” booth near where the KTX station is. The booth is open 24 hours. When I got there, it wasn’t so hard to find following the instructions given. The problem was the queue. 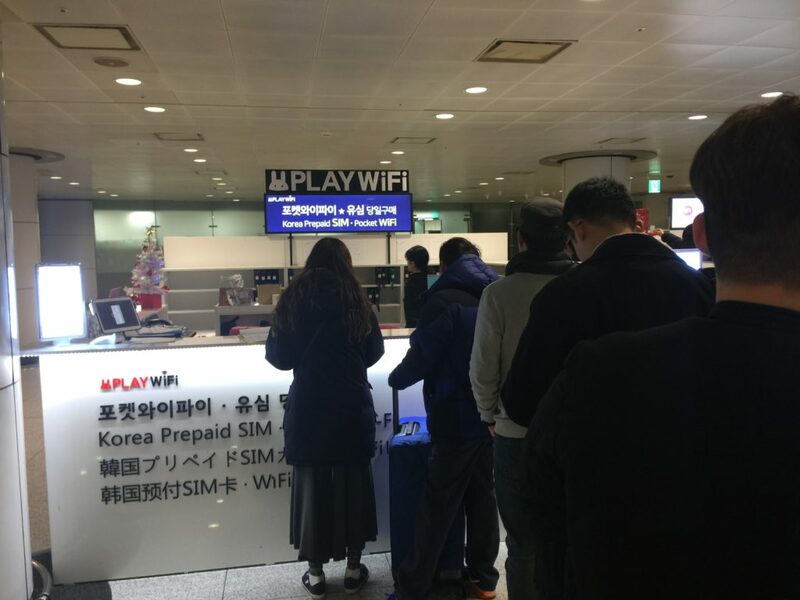 PlayWIFI itself is a service, although available only in Korean. You collect the WIFI sets for PlayWIFI and four other services from the same booth. Maybe they got some sort of crazy partnership going on, but the mobile sets given out looked suspiciously similar. The PlayWIFI was next to another booth providing mobile WiFi with no queue. It took me about 25 minutes to get my mobile WiFi. 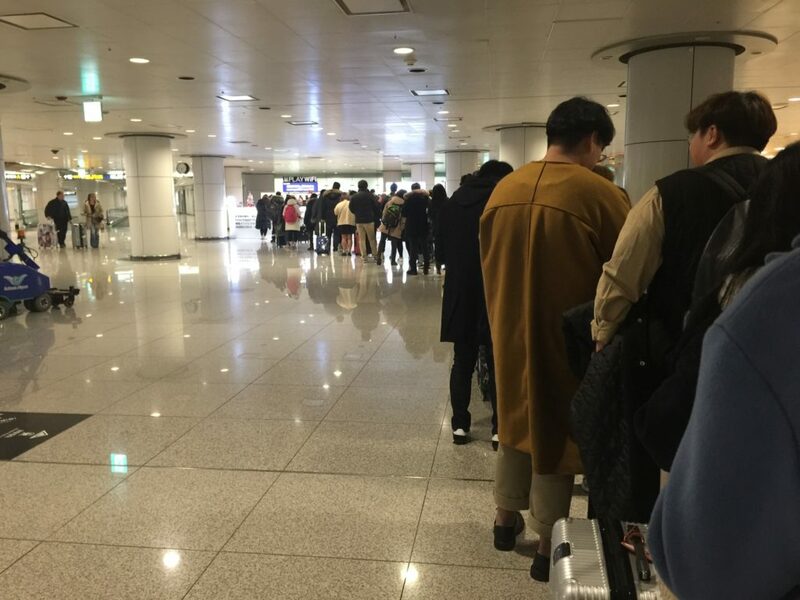 Part of the reason was that you had to join the long queue, even if you were just returning your device and that there was two staff mending the booth, and only one of them spoke limited English. 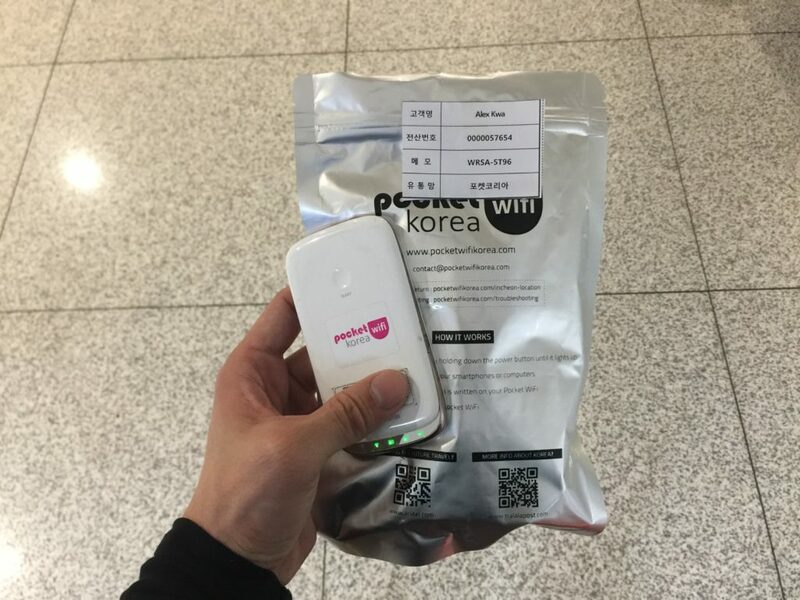 If you have any experience with mobile WiFis, the way to use Pocket WiFi Korea is not much different. Even though I signed up for the more expensive plan of the two, while the connection was good, the speed was not reliable. While it mostly worked fine when you are out and about, it becomes painfully slow at times or when you are underground. This was a big deal when I stayed at a guesthouse that was in the basement. Overall, it was not the speed I was expecting. Even it was advertised that you get up to 100Mbps (LTE) speed, you practically interchange between a 3G and 4G speed, never LTE. I could guess why they implemented the $50 deposit. The queue when I went back to return the device was insane. I bet some would just give up in order not to miss their flight. You should plan for up to an hour just to queue and return it. While there aren’t exactly a lot of options for mobile WiFi when travelling in Korea, Pocket WiFi Korea is a reasonable, if not, the only choice. Just be sure to factor in enough time for picking and dropping it off. Great post! Will try to use pocket wifi korea next time!